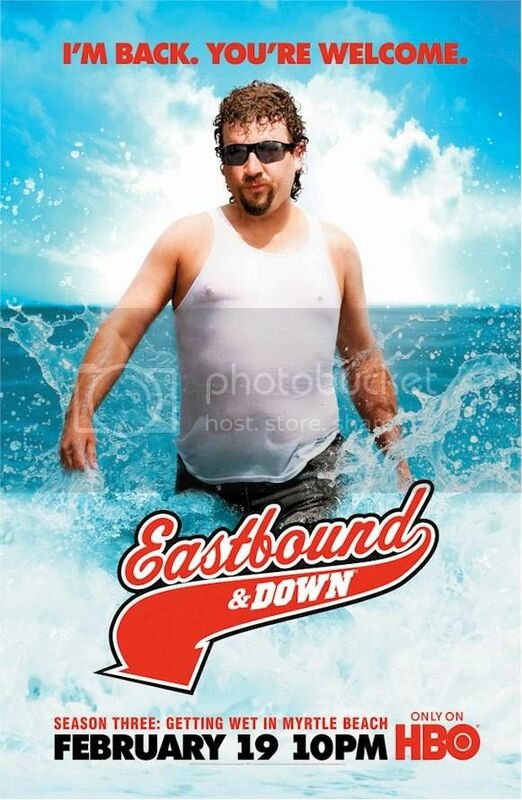 Eastbound & Down, which has its season three premiere this Sunday, February 19, is returning to Myrtle Beach to film and needs some extras. This Monday and Tuesday, February 20 and 21, HBO film crews will be filming in Myrtle Beach. We're not sure what they'll be filming or where, but one can assume it's basic coverage shots since the season is starting to air this weekend. You have to be 18 and up for this casting call, hop on over to our friends over at Grand Strand Sports Report for all the details. Want more Eastbound & Down season three info? Check out out Eastbound & Down Topic Page.